These five must see attractions are all within a half hour drive from Shola Coach House Boutique B&B Portrush and should not be missed. Click on the titles or pictures below for more information. The Giant’s Causeway UNESCO World Heritage Site is a geological wonder composed of over 40,000 interlocking basalt columns resulting from intense volcanic activity 60 million years ago. 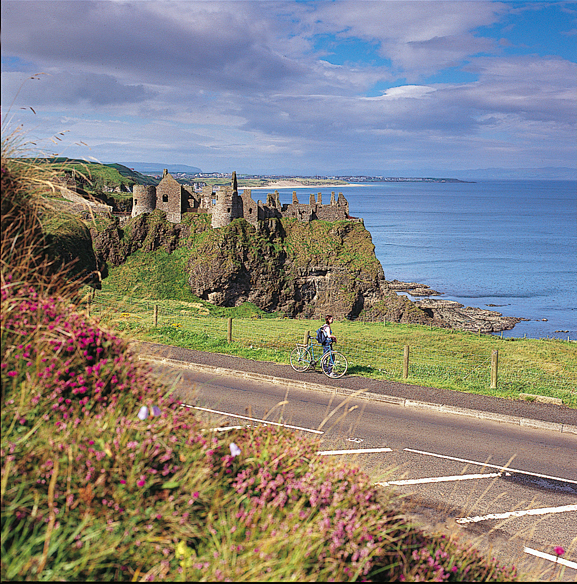 The legend, however, tells us that the Irish Giant Finn McCool built the causeway to Scotland so that he could challenge his rival Scottish giant in battle... Visit it yourself and believe what you will. 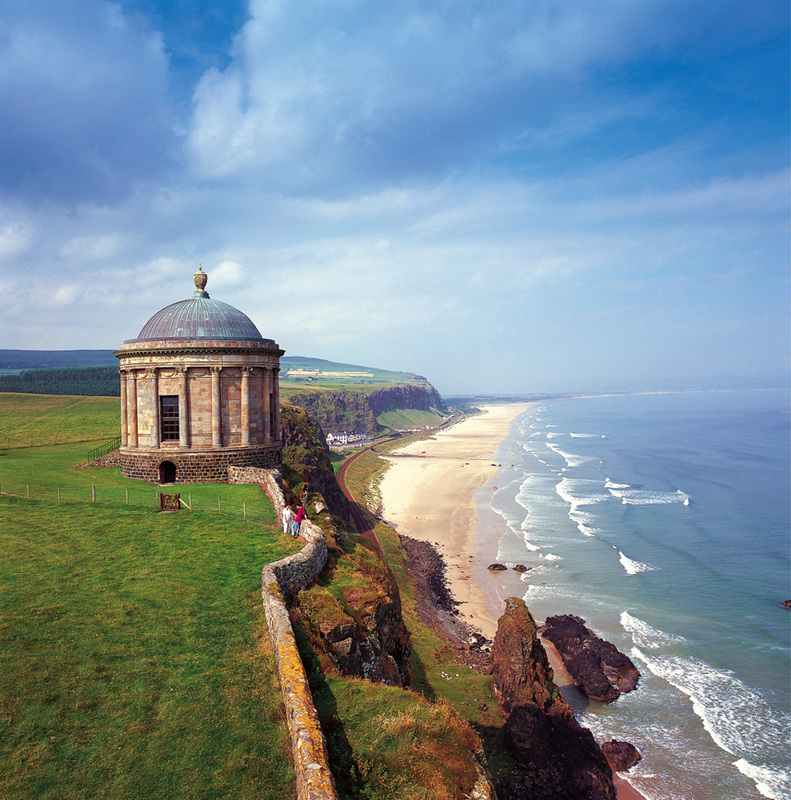 Downhill Demesne and Mussenden Temple is a National Trust property and offers you the chance to explore the 150 acre stunning estate at Downhill Demesne with its beautiful sheltered gardens and cliff walks. Carrick-a-Rede allows you the unique experience to traverse a 30m deep and 20m wide chasm by a rope bridge that was traditionally erected by salmon fishermen – not for the faint hearted! 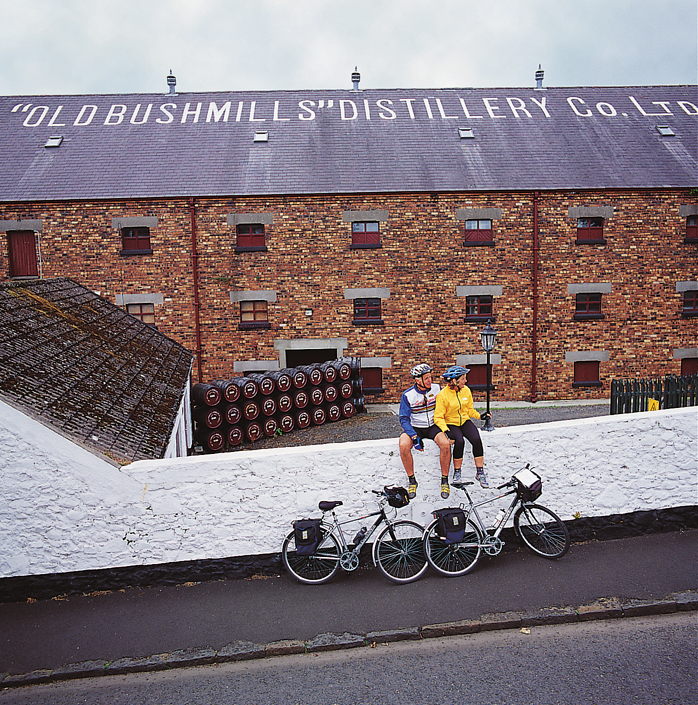 Old Bushmills Distillery is Ireland’s oldest working whiskey distillery where you can experience the unique whiskey making tradition and are sure to leave with a smile on your face (especially if you avail of the end of tour tipple). Dunluce Castle, clinging fast onto a dramatic cliff top and dating back to the late 15th century is one of the most romantic and picturesque castles in Ireland. According to legend, the castle’s kitchens fell into the sea taking with them most of the servants. It is said that their ghostly screams can still be heard on stormy nights as they forever fall to their doom.